We have the top three picks for this Thursday, and below there is a list of bars and lounges that are always a good option. 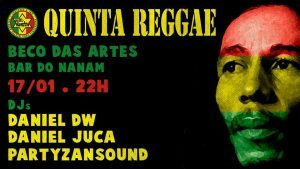 Quinta Reggae @ Bar do Nanam (Centro) – Reggae is back in the streets, down the classic Beco das Artes at Bar do Nanam. 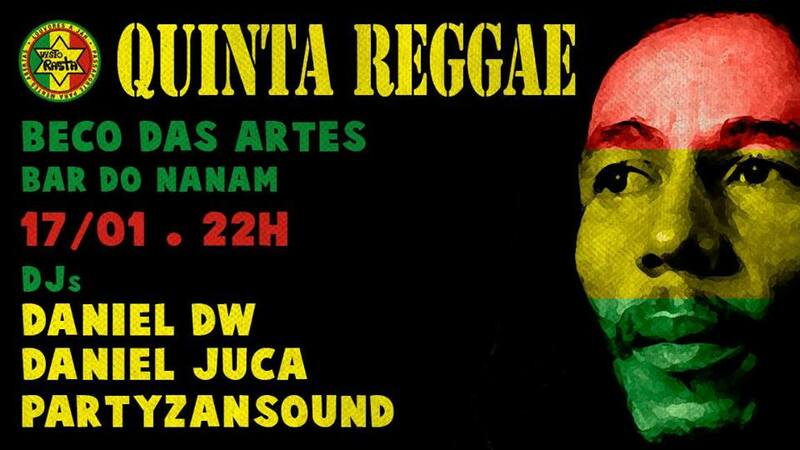 Radiola Cultural Visto Rasta with DJ Daniel DW and guests DJ PartyzanSound plus Daniel Juca’s special participation with the Bangarang sound system will make this an unforgettable night of the heaviest reggae tunes. This is a free night, though the bar encourages participants to purchase drinks from Bar do Nanam and contribute some money to the musicians’ hat. The party should get started at around 10PM. Juliane Gamboa @ Mississippi Delta Blues Bar (Gamboa) – Back in Rio after a brief tour, the Juliane Gamboa Quartet returns to the Mississippi stage with their eclectic repertoire of blues, jazz, soul and MPB. 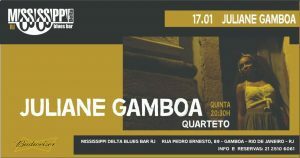 The show should start at 8:30PM and entry is R$15 (cash only). 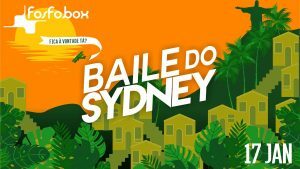 Baile do Sydney @ Fosfobox (Copacabana) – The hottest night in Rio de Janeiro invades the Cidade Maravilhosa again to warm the dancefloor of Copacabana’s legendary Fosfobox. 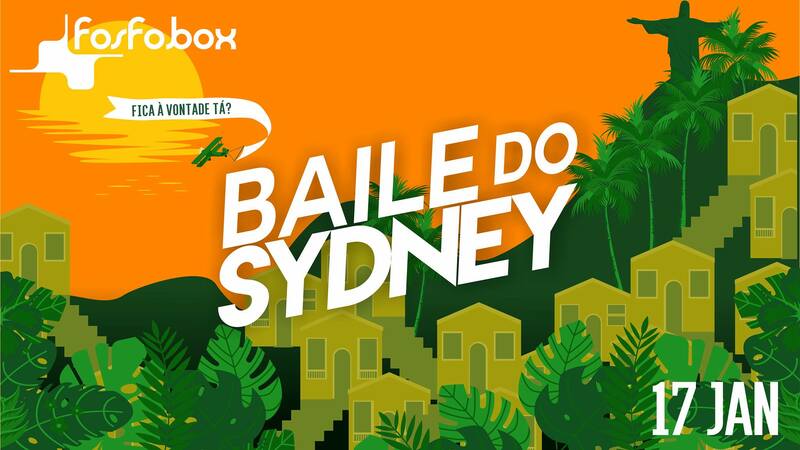 DJs for the night include Shavozo (SP), T / P (BSB), Glaucia Tavares, Larinha, Sydney Sousa, DJ Careca, and Padula. Tickets are between R$10-R$30 and the night gets going at 11PM. Run by two Italian expats, Momus’ interior design is already worth the experience. Among Momus’ highlights are its carefully prepared classic drinks, like the bloody mary (R$27), the pisco sour (R$28) and the negroni (R$28). Originally inaugurated in Paris, the boutique hostel and bar offers the perfect environment for enjoying a drink and a snack in style – specially on Fridays and Saturdays, when DJs spin on the house. Pavão Azul is a lively bar in Copacabana, famous for its exceptionally cold beers and prawn pastels. It gets crowded there every night, making every day of the week seem like the weekend. Blue Agave in Ipanema is a great place for Mexican food, strong drinks and watching the latest domestic and international sports. They have English-speaking staff and is a popular expat hangout in Ipanema. 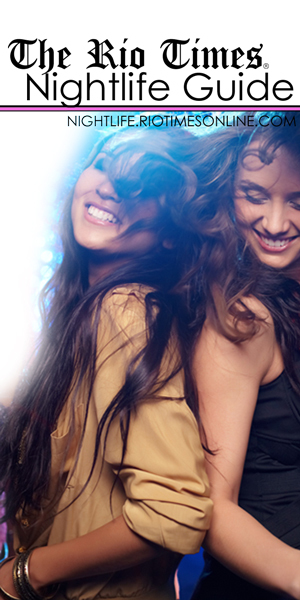 Be sure to check out Blue Agave in Copacabana also for a great night out. Flashback is a high-end restaurant with plenty of classical music and photos decorating the walls. Tonight, between 7PM and 9PM the restaurant will serve a happy hour with two for one on caipivodkas and Stella Artois. The caipivodkas are made fresh with either lime, strawberry or passionfruit as well as additional herbs added in for a taste explosion.